...that it turns out there is another phrase that is repeated time and again in the book of Ezekiel. Not quite as often as the 200+ mentions of "Sovereign LORD" but often enough to make its presence felt. Mentioned a good sixty five or more times through Ezekiel, God makes it clear that He is the Sovereign LORD - the One who will judge, the One who will rescue, the One who is true to His promises. In the days of oral tradition, repetition made it easier to remember what was being passed down from one hearer to the next by word of mouth. But I think there is more to the repetition than that. Having eyes open to these phrases deepens the reading and points to key themes. Here are some others from the early books of the Old Testament that help make sense of these books. Be holy because I am holy in Leviticus. Remember me or Do not forget me (God, that is) in Deuteronomy. Be courageous or Do not be afraid in Joshua. In those days Israel had no king; everyone did as he saw fit in Judges. Fear the LORD in Proverbs. Look out for them as you read these books - and please let me know if you can think of any others. ...that God is described as "Sovereign Lord" over 200 times in the book of Ezekiel? Which is interesting given that Ezekiel is a prophet to the people of Israel who are newly in Babylon and who would be wondering at God's sovereignty following the ordeal of exile. A few times removed and even so, he fell facedown in the fear of the LORD. What an amazing example of reverence, awe, obedience, faith, belief, fear of, trust in, love of and dependence upon the LORD. 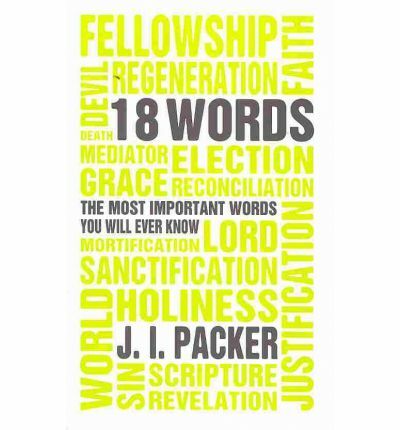 The following quote is from a chapter about holiness in the book 18 Words: The Most Important Words You Will Ever Know by J. I. Packer. A holy person’s life will not centre on things: instead, a certain frugality will mark it, an eschewing of luxury and display, a sense of stewardship of all possessions, and a readiness to let them go if need be for the Lord’s sake. Holy people do not undervalue this world’s good things, as if God did not make or provide them…, but they refuse to be enslaved to them. Nor do they squint sideways to compare their material showing with that of others; they know that keeping up with the Joneses is not holiness, even if Jones goes to their church or is in orbit in some Christian celebrity circuit. The holy person lives free from the passion for possessions, just as he does from other forms of self-seeking and self-indulgence. His treasure is with God, and his heart too…. The cheerfulness of his disregard of the world’s scale of values, and the straightforward, single-minded, spontaneous ardour of his love for God may make him somewhat unnerving company, though if so it is because he is so much more honest and human than we who watch him, not because he is odd and we are normal. Wow! There is a life's work. Something to pray about. Again and again. This quote and the cover picture make me want to own a copy of this book. Pop! On it goes onto the wishlist. This was always supposed to be one of the five new things for last year, but at least I can say I am making excellent headway into this year's list of things to do. Because today I picked up my new reading glasses. It must be fun to be an optometrist and daily see the joy in people's faces as the very small print on their "Here, have a read of this" card suddenly becomes amazingly visible. It's quite a miracle really. Then the LORD said to me: “Even if Moses and Samuel were to stand before me, my heart would not go out to this people. Send them away from my presence! Let them go! those for captivity, to captivity." This is the sort of passage that would have many asking, "Where is the God of love in that?" Right back to Deuteronomy. All through Deuteronomy the phrase "remember the Lord" is repeated, page after page, chapter after chapter. Remember Him when you go into the Promised Land, when you enter the land of plenty, when you find yourself surrounded by other nations that don't follow God, when life is good and when life is hard. At all times, remember the Lord. Throughout Deuteronomy God is galvanising His people before they become a nation in their own land. It all comes together magnificently in Deuteronomy 30, where God presents His people with a choice. By the time you get to Jeremiah God's people have been long in the Promised Land, it is drawing towards the end of the era of the kings and the people of Israel have made their choice. They have turned away from God. And Jeremiah is pleading with them to repent and turn back to Him. God, through Jeremiah, is pleading with His people to turn back to Him, to remember Him. From the time I brought your forefathers up from Egypt until today, I warned them again and again, saying, "Obey me." But they did not listen or pay attention; nstead they followed the stubbornness of their evil hearts. God has shown extraordinary patience over centuries. Centuries is a long time to be patient. Especially when I think about how hard it is to remain patient even for five minutes sometimes. God has given His people countless warnings. And they have ignored Him. However God continues to show compassion, love and mercy. God could have turned all His people over to death, sword and starvation. He gave them countless opportunities to turn back to Him. He told them point blank that He would destroy them if they continued to ignore Him. And yet He saved some. He preserved a remnant, sending them into capitivity. Even amongst the captives there were those whose trust failed. Towards the end of Jeremiah there's a story of the group who rebelled against the Babylonian captivity and escaped to Egypt. The Lord spoke to the people through Jeremiah, warning them against this plan. That they would perish if they fled to Egypt. He was asking them to trust Him, to go to Babylon. A group fled to Egypt, thinking it the better option. They perished. But those who went to Babylon were established in that land. They built houses, planted vineyards, grew crops, settled safely and lived in prosperity. While there are sweeping passages of hope and promise, Jeremiah is, at core, an overwhelmingly sad book. God, through Jeremiah, pleads desperately with His people to repent from their ways, to follow Him, to trust Him. Relatively few trust and follow, walking through the small gate and along the narrow road. But some do. And for them the future is full of glorious hope and life. I know what you are thinking. Easter is AGES away. You're right. It is. Even though there have been hot cross buns in the shops since January (I promised myself I wouldn't get on my soapbox...oops...) and the shelves are filling with Easter eggs (although why you would buy chocolate eggs in this heat is beyond me), even still, there are a good seven weeks until Easter. But Lent, the forty days plus Sundays preceding Easter - the time, if you choose to observe it for preparing your heart and mind for Easter - begins next Wednesday. Like my friend Amy, I have grown up in a church tradition that doesn't really observe Lent and I didn't know much about it. Like Amy, we do lots in the month leading up to Christmas (Advent) but precious little when it comes to the lead up to Easter. Which seems wrong. Because Easter is so important. 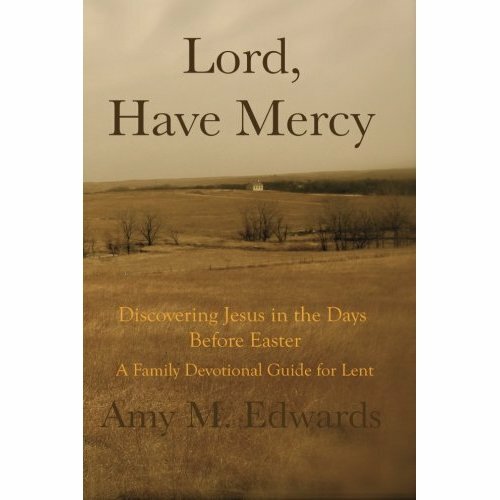 If you are after something to help you to prepare for Easter (personally or with your family), the lovely Amy has come to our rescue with her BRAND NEW BOOK Lord Have Mercy: Discovering Jesus in the Days Before Easter - a Family Devotional Guide for Lent. She begins with a helpful introduction on Lent, covering its history and how we might rightly apply it today - "rending our hearts, not our garments, in repentance to Him." What then follows is forty short studies, one for each day of Lent, not including Sundays. Forty studies in forty days??? Overwhelmed before you even start? Amy is a busy mother of five children. She knows. And she is here to help. Amy has arranged the studies by week. 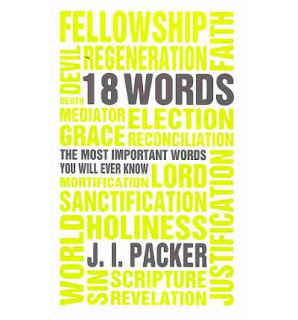 Each week's studies covers a different aspect of Christ's ministry. She has provided a reference for a short reading from the Bible and then a series of questions (with answers!) If you start late, start on the current day's study. Can't manage every single day? Even if you only do some of the studies each week you will get a sense of the theme being covered. Can't fit in a discussion with all the family some evenings? Quickly talk through the main points that would have hopefully come out of the discussion, had you had it. Obviously the more you do, the better and richer the experience. But if you can't do it all, then some is good. Amy sets before us a realistic and flexible programme because she appreciates and knows what it is like. Week one - We need God's mercy. Week two - Jesus is holy, we are not. Week three - Jesus is God and has the power to heal and save. Week four - Jesus is the Messiah, the Son of Man. Week five - Jesus is glorious. Week six - Jesus is the Only Saviour. Week seven (Holy Week a.k.a. the week leading up to Easter) - Jesus Christ, God's Annointed One. 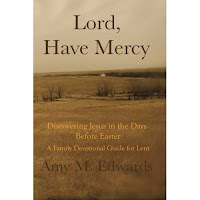 For all you up to date people with a Kindle, you can get Lord Have Mercy HERE for $US3! If you have an eReader that isn't a Kindle then Amy has some instructions, which she has put in the comments below, as to how you can get this book successfully onto your gadget. (This technology is WAY beyond my understanding but those who have eyes to see will understand.) And if you prefer to hold a book in your hand, in recent days it has become available in that format HERE. As I said earlier, this book is brand new. I haven't road tested it. I haven't read all the way through it as yet. But what I have read I love. And I have read Amy's blog for maybe three years now, chatted with her via email, prayed for her, asked her to pray for me and know her to be a growing, flourishing, intentional Christian wife, mother, daughter and friend. Amy loves Jesus and her greatest desire is that her children will grow up strong in their love for the Lord as well. This book wells up from that desire. A flower for you to say thank you. 3. Doing lots of holiday things with the kids. 5. Reading lots of novels. 6. Reclaiming house and home after being away on holidays or being at home but spending my time reading novels. 7. Drowning in start of year admin from the various things I find myself involved in. 8. Writing lengthy emails to special friends - those moments when the time has to be given to writing for the personal rather than blogging for the general. 9. Spending some time catching up with special people. And while all that has been happening I have been brewing up a few blogworthy thoughts and can see a window of blogging opportunity coming my way. So watch this space. Actually, thanks again for watching this space while I was away.